Pickens County honorees at 2nd Annual PCCAC banquet at Aliceville City Hall, from left: Gordo Mayor Craig Patterson, Joan Boothe, Rev. James Wright, Edgar Pruitt, Dr. Brittney Anderson, and Rev. Dr. Tim Alexander. 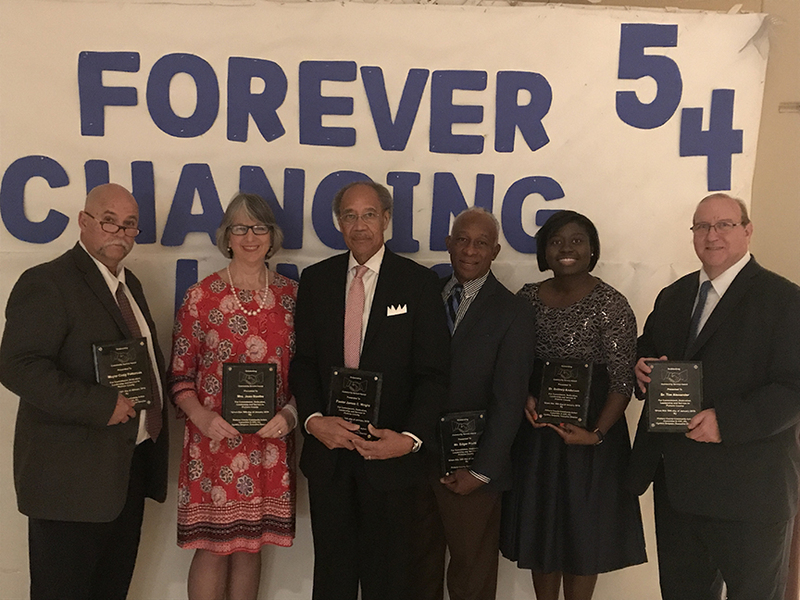 The Pickens County Community Action Committee held its second annual banquet at the Aliceville City Hall last Saturday night, celebrating the 54th anniversary of the PCCAC. The highlight of the banquet was the honoring of six individuals--Edgar Pruitt, Joan Boothe, Rev. Dr. Tim Alexander, Rev. James Wright, Dr. Brittney Anderson and Gordo Mayor Craig Patterson--for their service in Pickens County. Edgar Pruitt has spent 35 years working for Fortune 100 corporations, such as Union Carbide/Dow Chemical Corporation, Coca Cola USA, MCI Communications, Atlanta Gas Light Company, Blue Cross and Blue Shield of Florida, among others. Pruitt and his wife Carolyn bought a farm and returned to Pickens County in 2010, which led to his being recognized as the AACD Farmer of the Year in 2012. Pruitt currently serves as the Director for the Aliceville Chamber of Commerce. Joan Boothe is a 1973 graduate of Pickens Academy and 1977 graduate of the Mississippi University for Women. After graduation, Boothe worked as editor and publisher of the Pickens County Herald for 16 years and then owned a business, Rethreads, in Aliceville and Reform for seven years. She served for 12 years as the pastoral assistant at Carrollton United Methodist, where she concentrated on the outreach ministry. Boothe considers herself a home missionary, but has been on 16 mission trips to Kentucky. For the past 14 years, she has volunteered with the Operation Ukraine warehouse in Columbus, Miss. and retired in March 2017 after seven years as manager of the Potluck Shop, a non-profit thrift store in Carrollton.